Location: At the end of a short approach road off Ayot St Peter Road. 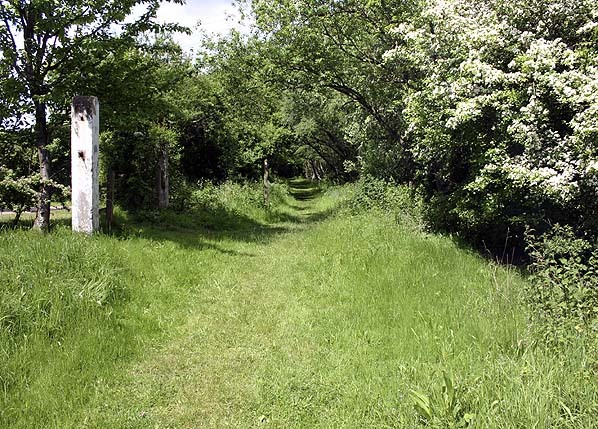 The south end of the former goods yard is now a car park for the Ayot Greenway footpath. Present state: The station has been demolished with little evidence remaining. At the south end of the station two sets of crossing gate posts survive. To the north of the crossing the foundations of a number of buildings, including the signal box, can be found in the goods yard. The stationmaster's house alongside the approach road is in private occupation. Notes: Ayott St Peters station was a later addition to the Hatfield to Dunstable line opening on 2 July 1877. The suffix was dropped in October 1877 when the station was renamed Ayott, and there was a third change of name in April 1878 when when the spelling was corrected to Ayot. 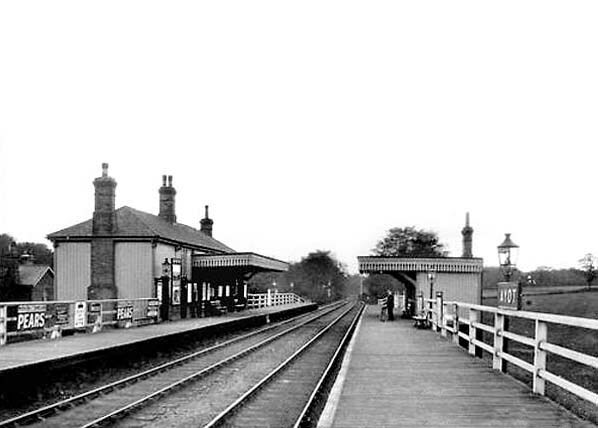 Initially there was only one platform on the down side of the line but, c. 1890, a passing loop was added and a second platform was provided. At the same time, the two-storey stationmaster's house was built alongside the station approach road, at a lower level to the platforms, and the signal box was relocated from the north side of the crossing to the south side. A new 35-lever box was built; both were on the up side of the line. and cattle pens. There was also a coal yard. Other goods traffic handled at the station included corn, as well as red bricks from Deard's brickworks immediately north of the station (see map below). On 26th July 1948 the station was destroyed by a fire. The following is an extract from a local newspaper, "The ‘wooden box’ railway station at Ayot was gutted by fire on Monday morning. During the two-hour blaze smoke and flame enveloped the station and the smell of burning creosote drifted for miles. Firemen struggled across fields with hydrants but the all-wooden structure defeated them; only cinders and a chimney stack remained of the up platform with its waiting room. Spectators helped the firemen handle a pump and hoses over the burning track and across the fields to a nearby pond. The down platform, waiting room and booking office were severely damaged. Flames spread along the sleepers and the track curled and buckled in the heat. An emergency gang from Hitchin found the lines three feet out of true. They restored service during the afternoon. The station was never rebuilt and was officially closed on 26th September 1949. 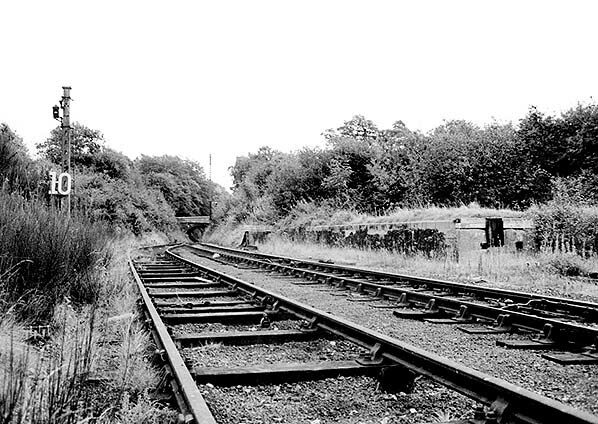 The goods yard was renamed Ayot Sidings and remained open until 1st May 1963. 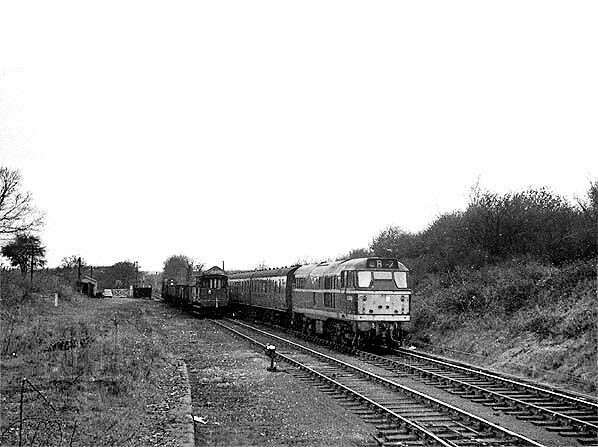 Goods traffic continued to pass through until November 1965 when a connection with the Midland line at Luton opened. This made the track east of Luton redundant, and the rails were lifted between Luton and Blackbridge. 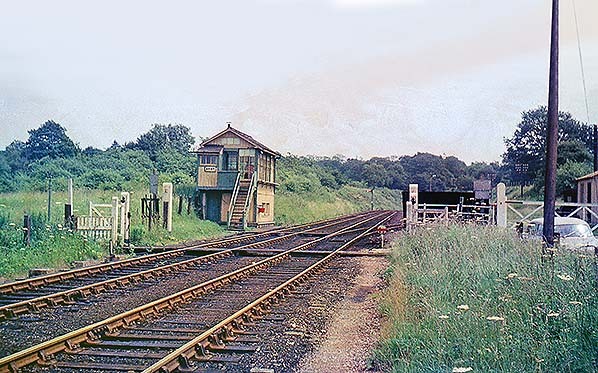 Ayot signal box had closed in January 1966, and the passing loop was lifted. 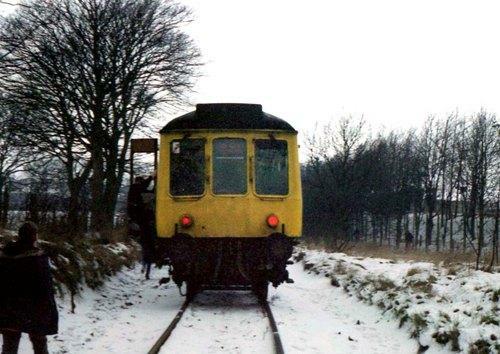 The only remaining traffic was refuse trains to the tip at Blackbridge sidings which continued to run until closure of the landfill site on 24th May 1971. 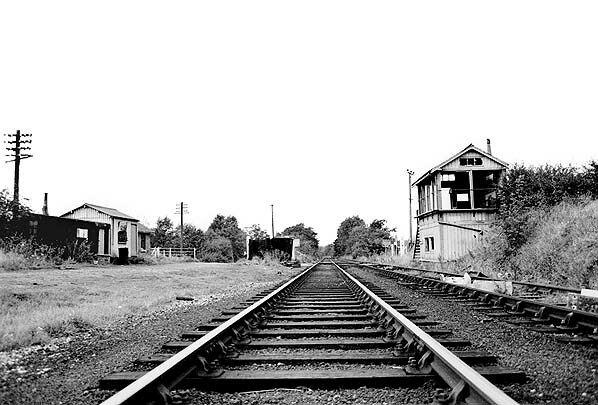 By July 1971 all of the track had been lifted and the remaining goods yard buildings demolished. The signal box had already burnt down by this time. Towards the end of 1971 the cutting at the south end of the goods yard was infilled in readiness for the Al(M) Motorway which was in the process of being built. secured, and in July 2001 it was reported that the group was in dispute over their occupation of the site. 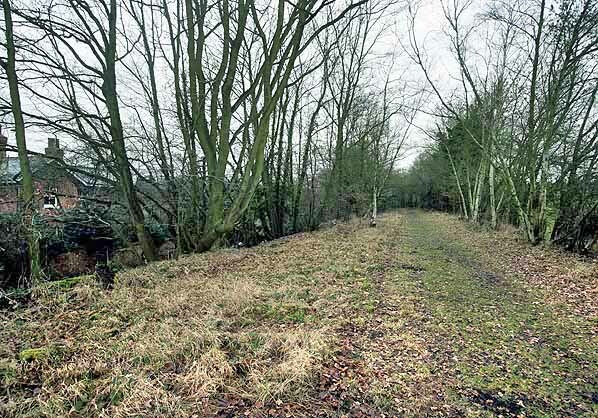 The project ended when the illegal connection to the Luton to Dunstable branch line was removed in March 2001, and vehicles were removed in July 2001 and January 2002; the remaining railway vehicles on the siding were finally cut up by the council, and the tracks were lifted in 2005. Ayot station looking south east c 1905. 1878 1:2500 OS map. Note there is only one platform and no passing loop. 1898 1:2500 OS map. A passing loop and a second platform has been added. The signal box has been re-sited to the other side of the crossing, and more buildings have been added to the goods yard. The stationmaster's house has also been built. 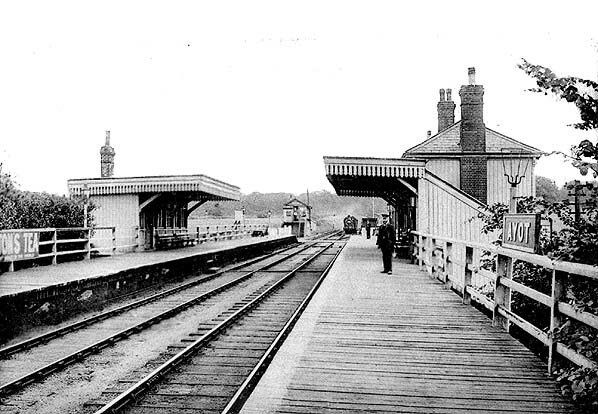 Ayot station looking north west c.1910. The stationmaster's house can be seen far left. 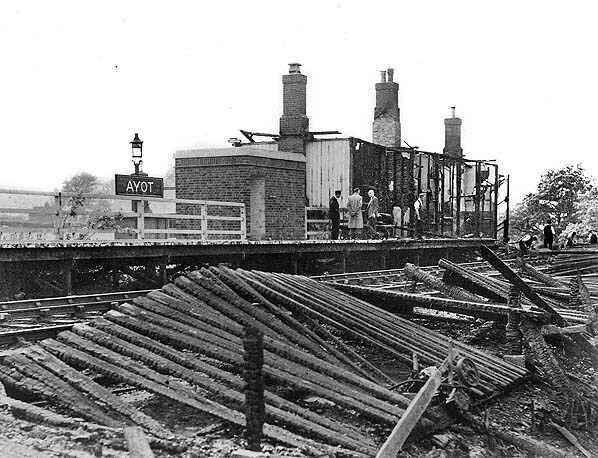 Ayot station shortly after the fire in 1948. The Stephenson Locomotive SocietyTour of 7 Branch Lines railtour stands in the platform on 14 April 972. 1247 hauled the train from Hitchin to Luton Bute Streetrailtour stands in the platform. Looking south-east from the south end of Ayot station site in July 1963. Looking south east from the site of the Ayot down platform in the 1960s. Ayot passing loop with D5589 leaving on an up passenger on 24th April 1965 the last day of passenger service. An English Electric type 1 loco. waits with freight. The disused cattle dock is seen bottom left. Looking north west towards the site of Ayot station in 1970. The goods yard is on the left. The weigh office at the entrance to the goods yard can be seen being the tin hut. 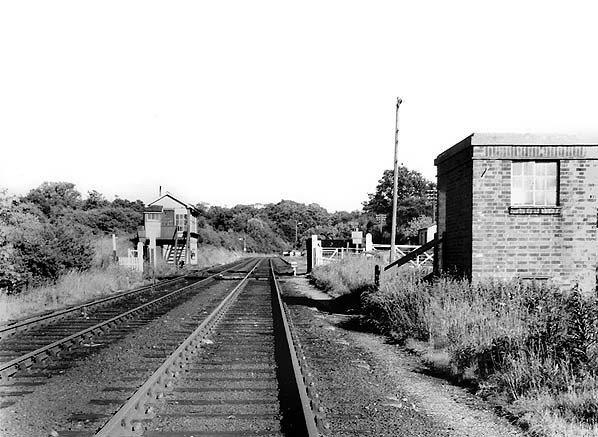 Ayot cattle dock in 1970, looking south east towards Welwyn Garden City. 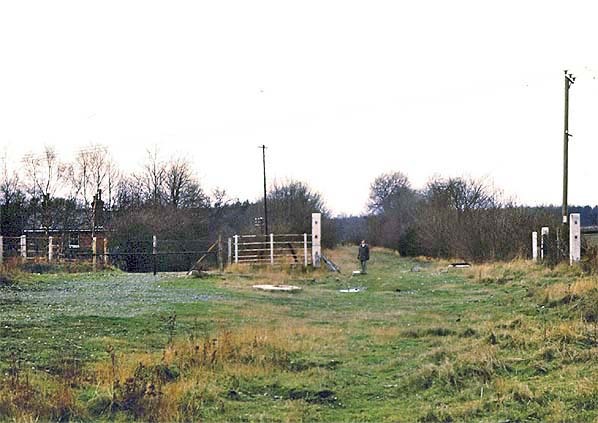 Looking north west towards the site of Ayot station in April 1976. The station was on the far side of the crossing. The signal box was to the right of the photographer. 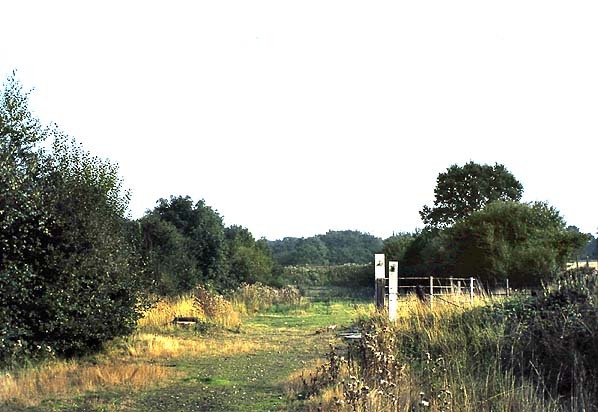 Looking south east towards Ayot goods yard, which was on the far side of the crossing, in 1976. 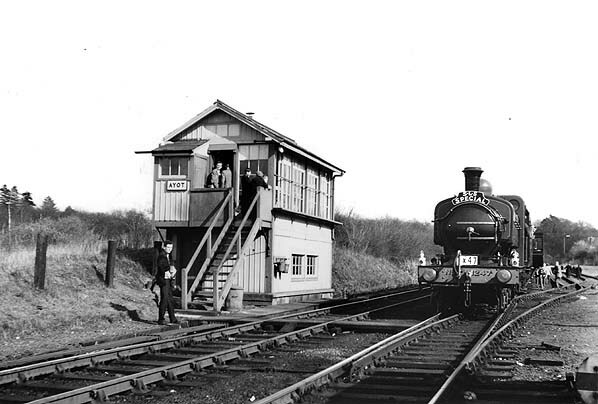 The signal box was on the left. Looking north west towards the site of Ayot station in May 2006. Looking north west at the site of Ayot station in January 2011. Taken from a similar view point to the 1910 picture above. The stationmaster's house can be seen on the left in both pictures.